Neil Bousfield studied MA Multi-Disciplinary Printmaking at the University of the West of England, Bristol, awarded with distinction in 2007. He had previously studied BA (Honours) Animation and MSc 3D Computer Graphics. 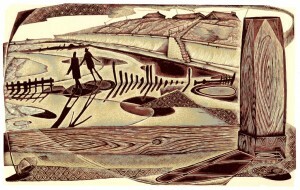 In 2009 Neil was elected a member of The Society of Wood Engravers and in 2014 he was elected to the Royal Society of Painter-Printmakers.